1. 3-D DLP liquid crystal shutter glasses (4) with IR emitter & software. We are about to order a 3-D ready HDTV for my husband for his birthday. 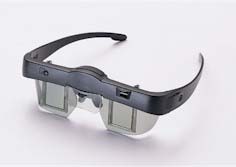 In order to watch movies in 3-D, you need wear these shutter glasses, and play back the DVD on a PC running the software included with them. The glasses are synced up to the monitor via the emitter, so when a left eye view is presented, the left eye can see the image, while the right eye can’t. The result is an amazing 3-D experience, as seen in the theaters. 2. LG BD390 Blu-Ray disc player has an integrated 802.11n Wi-Fi, and streams Netflix, YouTube, and CinemaNow. 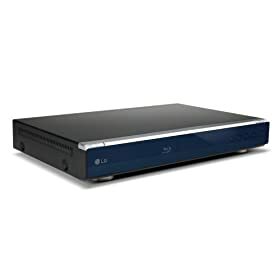 It also plays music, videos, and pictures off a connected USB drive or streaming video from your networked connected PC. The player has audio outputs for Dolby TrueHD and DTS-HD Master Audio for playback on almost any HDMI-capable AV receiver. It also has decoding for legacy DTS formats, i.e. DTS 96/24, ES, ES Matrix, and Neo:6. This is LG’s flagship Blu-Ray disc player, jam packed with features, blazing fast load times, and outstanding video quality. A must! 3. Jaeger-LeCoultre Reverso Squadra Lady Duetto in 18K pink gold with a total of 73 diamonds (front and back bezels, plus stem). The front dial shows the date and a day/night dial. The reverse shows a stunning face contrasting in black with white numerals. The Reverso is an Art-Deco classic that was created for British officers stationed in India to use in polo matches. The swivel system allowed the face to be reversed to a solid metal finish. The Duetto adds another face to the reverse side, giving you two faces per watch. Jaeger-LeCoultre are one of the few manufacturers that continue to make movements for themselves, as well as for others, including Patek Phillipe, Cartier, and Audemars Piguet. 4. 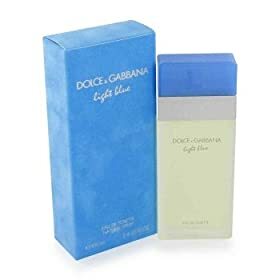 Dolce & Gabbana Light Blue for Women. I know it’s been around for years, but I still love it. 5. Canon EOS 7D. Their latest camera sets a new standard! It has 18MP, dual DIGIC 4 image processors, up to ISO 12800 and speeds of up to 8 fps. It also captures full HD video at 30p, 24p and 25p with an array of manual controls that would make filmmakers drool. This is an awesome camera, just waiting for me to use it. Come to mama! 6. EF 24-70/2.8L lens would compliment my current glass, in between my 11-16/2.8 mm & 17-40/4L mm wide angle lenses and my 70-200/2.8L mm telephoto, and will work well with my new 7D (hint, hint). This would make a perfect walk around lens, which is great in low lighting. 7. Dooney & Burke Commemorative All-Weather Leather Satchel – It’s nothing fancy, but I just love a classic look for an everyday bag. Plain and simple works well for me. 8. Frescobaldi Laudemio Extra Virgin Olive Oil – A good bottle of olive oil is like a bottle of fine wine for me! I prefer Tuscan oils, and I’m not tied down to one brand, but it has to be excellent! 9. All Clad 4-Square Waffle Maker – The manufacturer says it all. This is a high quality machine built to make crisp Belgian waffles. This would make my ultimate batter, which I MIGHT share with you one day, transform into the best waffles ever! It has great features like an overflow trough to avoid countertop spillage, and a steam release system to insure crispiness on the outside while the inside remains soft. 10. An 18K rose gold chain link bracelet. It doesn’t matter if it’s from Cartier, Pomellato, Tiffany, Wempe…surprise me! So Oprah, or anyone else who is extremely generous, if you’re reading this and feel compelled to send me an item from this list, leave a comment and I will contact you! Everyone else, list the top 5 items from your list in the comment box. I’d love to see what you’re interested in this year.